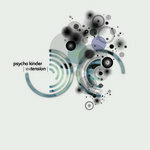 This new release from the project by Alessandro Camilletti is not the proper follow-up of the well received "The Psycho Kinder Tapes" but is a collection of remixes framed by two tracks based on spoken word by Valerio Zecchini and Andrea Chimenti upon the evocative background by Giovanni Leonardi. As almost all these kind of releases, it's a multifaceted release where the choices by the remixers makes the differences. While the first remixes are roughly dance floor oriented and are a little addition to the framework of this project which, as based on new wave, is reasonably catchy even if it's sometimes experimental. However with the remix of "Oltre il tempo" by Deca there's at least a link to the frame of this release as it takes the voice in the framework upon a dark rhythmic pattern evolving in a final quiet part based on synth. Then two remixes raises the bar: the remix of "il tramonto dell'evidente" by Carnera which add a martial and noisy element to the music and has a audio spectrum of remarkable quality at the cost of almost erasing all the lyrics, and the remix of "Vivo e invisible" by Miro Snejdr which underline a layer of piano and a rhythmic structure to a track originally almost austere in his construction. As it could be expected, this is essentially a release for fans and collectors and its best moments (Miro Snejder and Carnera) were already present in the previous release. Fans of this project will have some enjoyable track to listen and the others a simpler approach to Camilletti's music which has an uncommon depth, but the best moments are elsewhere.